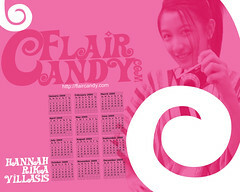 Hannah Villasis: Download the Flair Candy 2009 Wallpaper Calendar Now! Download the Flair Candy 2009 Wallpaper Calendar Now! Unknown9:34 PM 22 sweets for free! 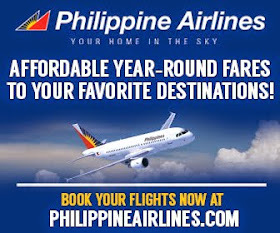 Ask... and you shall receive! Since I am just nothing but a novice in using Photoshop (believe it or not I edit my photos using Powerpoint hehe), I innocently asked for this wallpaper calendar and I got it, I got it, I got it!!! Small things just make me happy and this is the first Christmas gift I have ever received! Courtesy of Jonas Diego of hellomictest.blogspot.com! Hoping to infect your 2009 daily with a smile of a Candy - Happy Holidays! it's kinda narcisistic now that I thought of it haha but anyway... download as you wish! Wah!!! I have an **idea** lasker and i know you love IDEAS!!!! Make SHOUTOUTLOUNGE Calendar!!!!! go and make one la :P first make one of yourself ... just for fun loh... then see what happens :D aryty! yup yup! make a concepts calendar!! NAO!!!! Cute Hannah....but pinkish and girl-ish! Can ya make one for the boys heh? I believe the download rate will go z000m! Oh, i see your concern... hmm... alrighty I'll try to make one.. probably just mask it with other color :D Thanks deepak! hey Anston! :) thanks for droppin by it's been a while since I've shouted.. Take care yah! hey Jeh. hw r u? Now what does "do ko din gets" mean guys? O_o??? Long time didnt drop by here. Lots of new changes in here. I have a problem finding a cbox to drop by. So i guess i just drop in here instead. Nice calendar. It would be sweet to have a hard copy one! XD~~ Hahaha..